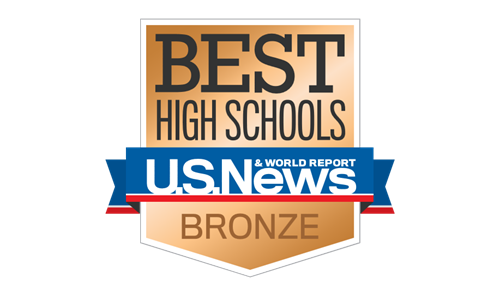 Cardinal High School has earned a National Ranking of Bronze from the U.S. News & World Report in their Best High Schools rankings. The 2017 Best High Schools ranking awards the top 6,041 public high schools with gold, silver, and bronze medals. Of 866 high schools in the state of Ohio, U.S. News ranks Cardinal High School at 197. According to U.S. News, they partnered with RTI International, a science research firm, to produce the 2017 Best High Schools rankings. The rankings are based on these key principles: that a great high school must serve all of its students well, not just those who are college bound, and that it must be able to produce measurable academic outcomes to show it is successfully educating its student body across a range of performance indicators. A four-step process is used to determine Best High Schools. Schools must pass each step in succession to move on for consideration in the next step. In step one, researchers compare math and reading proficiency scores to determine if students are performing better than statistically expected for the state. The second step compares test scores for those who U.S. News defines as disadvantaged (black, Hispanic, low-income) to see if they perform at or better than the state average. If a school passes the first two steps, the third step requires the school to have a graduation rate of 75% or higher. And finally, in step four, schools are judged on college-readiness performance, using Advanced Placement (AP) test data as the benchmark for success. 26% of Cardinal High School students participate in AP classes, with 46 credits earned in the 2016-17 school year.